Is it that time again to get a new tattoo? 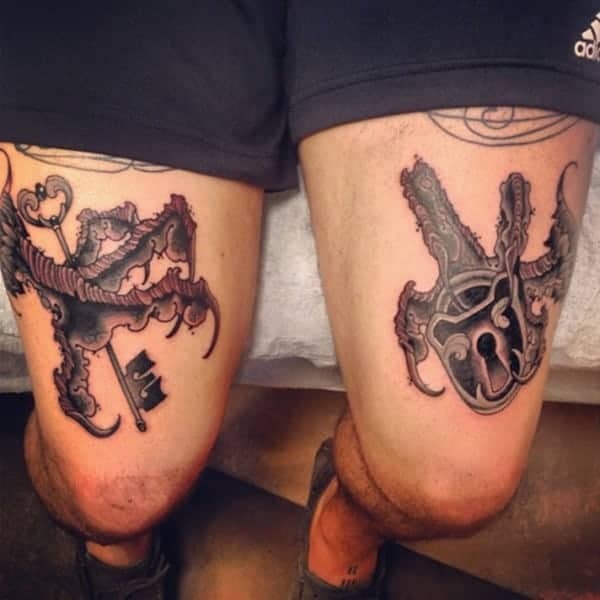 If you’re thinking about getting some new ink then why not look for something that has some significant meaning to it. Polynesian tattoos are not only super cool to look at, but they are also a type of ancient art. So, with that comes a lot of meaning. Polynesian tattoos are based on the Polynesian culture so there are different meanings for each tattoo. Long ago there was a time when writing was not an option for Polynesians. You might be surprised to know that they communicated through the use of art. In order for people to let each other know who they were and what their personality was like they used art. That was where the idea for Polynesian tattoos came from. 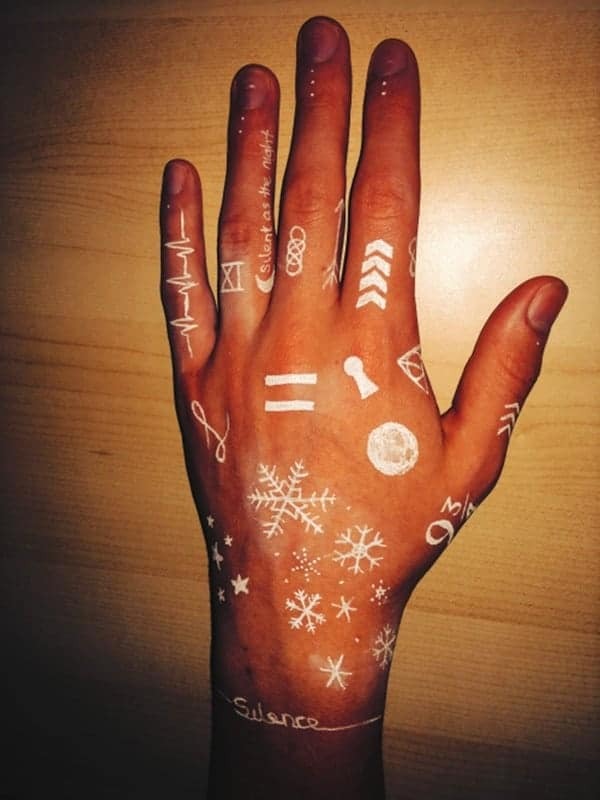 These tattoos were used to determine everything from someone’s societal status to their sexual maturity level. They used them to also determine their hierarchy status and genealogy, which is all pretty cool. It was actually banned for a time in 1797 when the missionaries arrived. The banned it based on the Old Testament. But it was revived once again in the 1980’s bringing a whole new life back to the art. 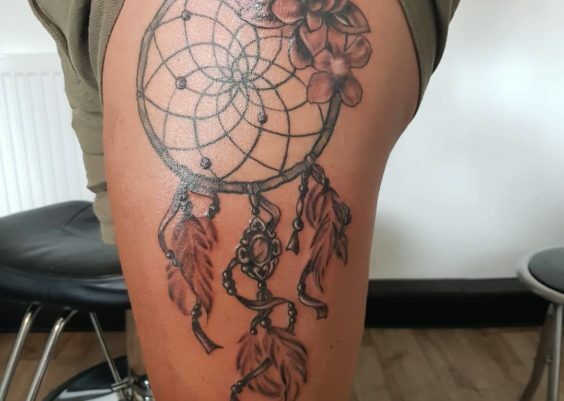 If you are thinking of a Polynesian tattoo, then we have many styles for you to choose from that come in all shapes and sizes. 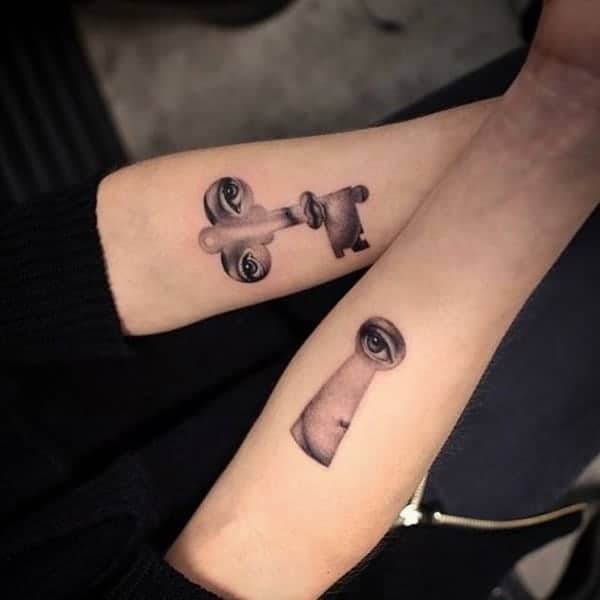 These sweet tattoos are all about connecting with your mate. Keys are very popular in the Polynesian culture. 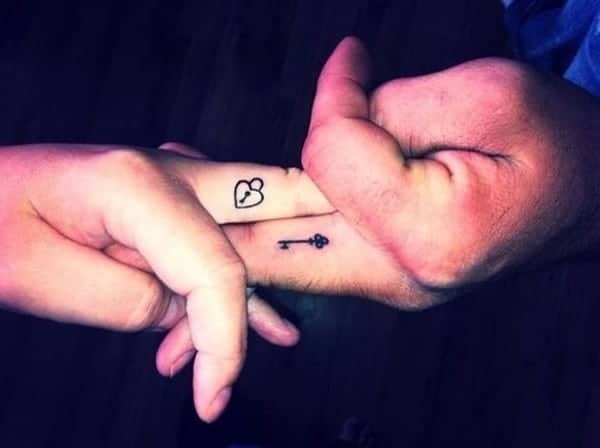 This is always a popular choice for couples who want to get matching tattoos. 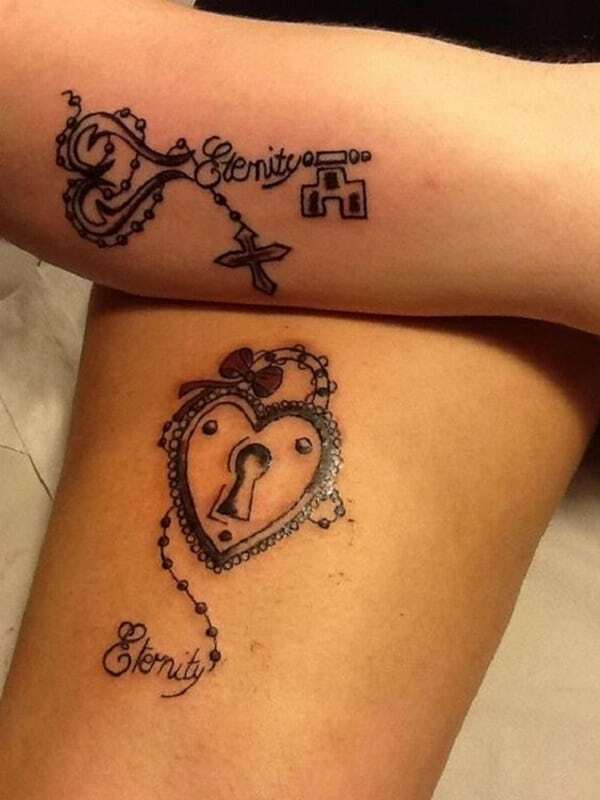 The lock and key is a symbol of their love for each other. 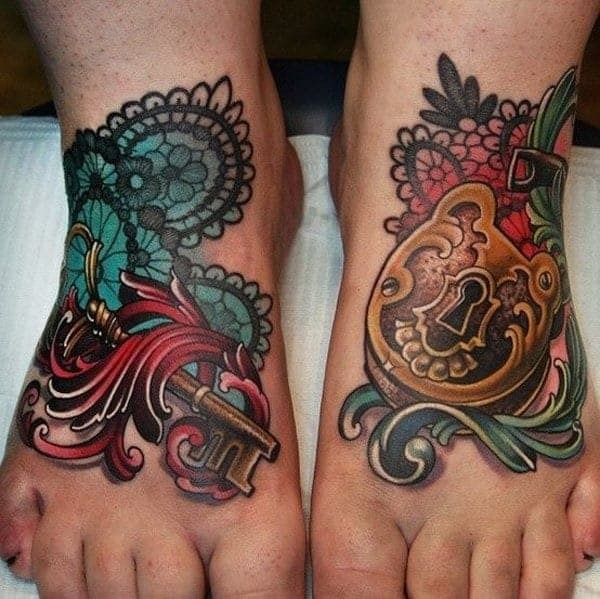 Another example of the lock and key Polynesian tattoo design but these are much larger and more ornate. 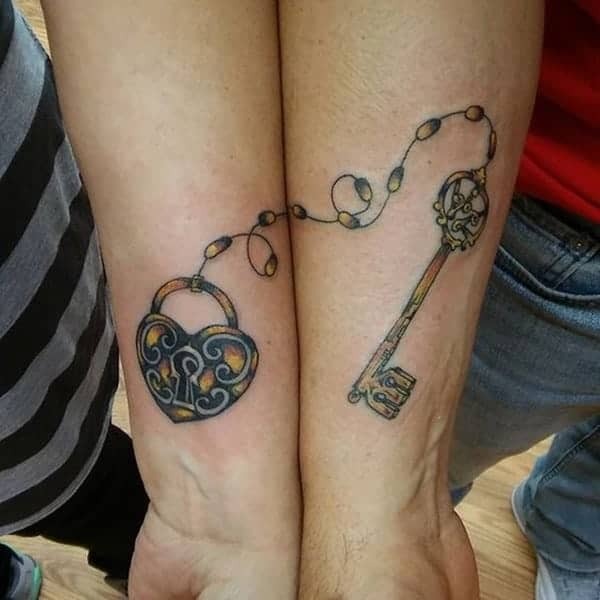 We love this lock and key design because it intersects together. 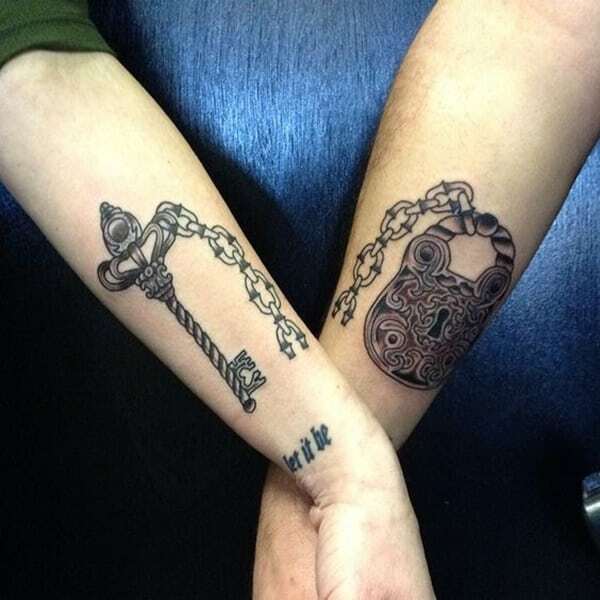 The chain goes from one partner’s arm to the other. 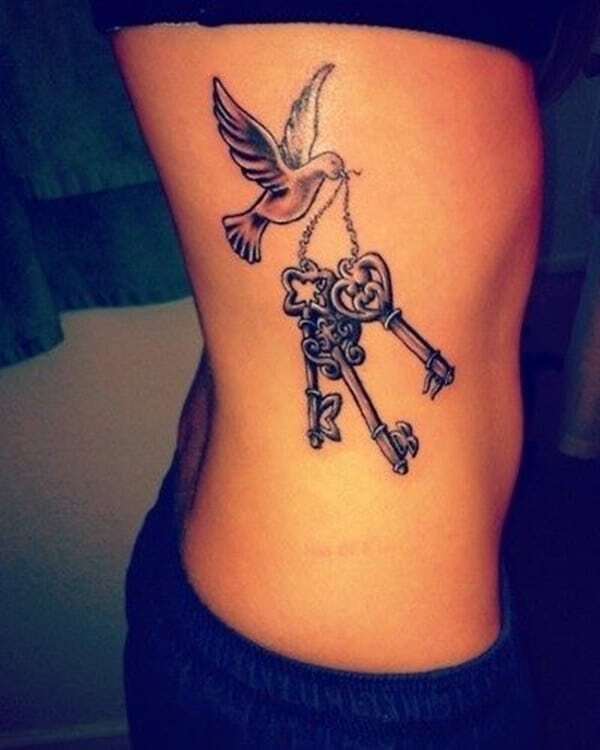 This dove is carrying some keys, are they love keys? Two important parts of any successful relationship. It’s a sweet design that you are sure to love. A great design that is truly inspiring. 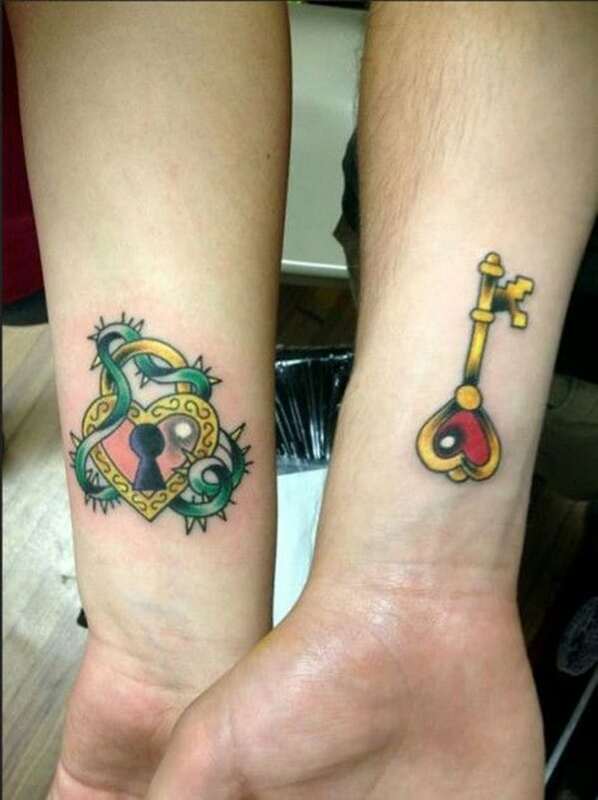 We love the details on these tattoos. An amazing design that you are sure to love. 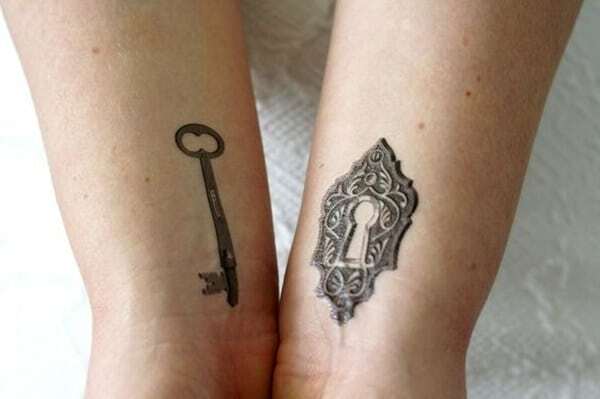 This lock and key are truly mysterious. 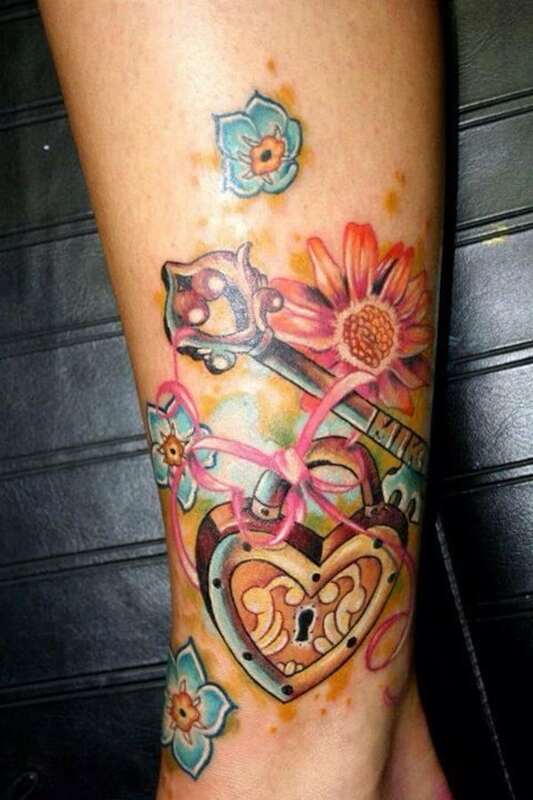 There is a lot going on with this sleeve design, there are locks and flowers and we just love the bright colors. 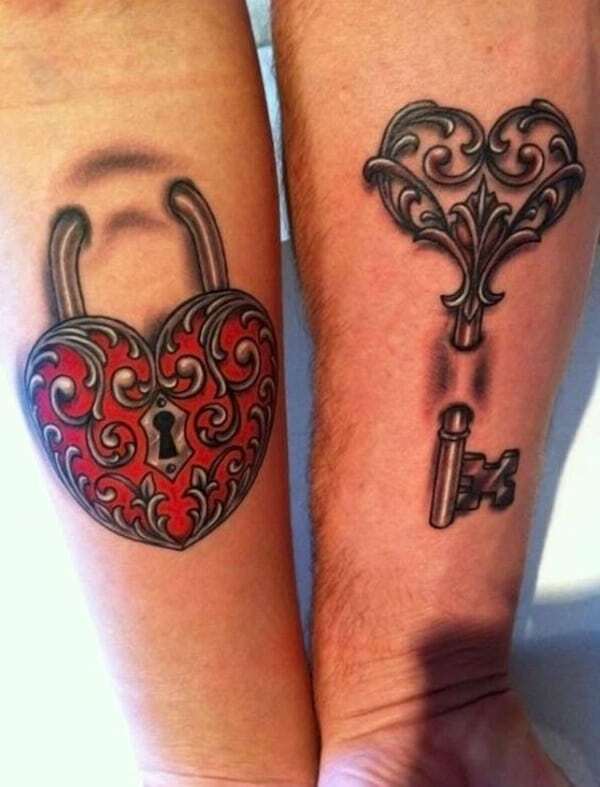 There’s nothing like ornate lock and keys to show your true love for one another. 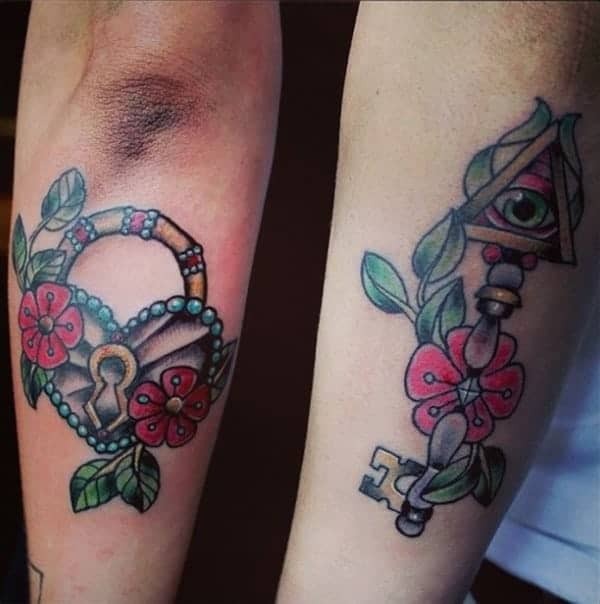 These are two different tattoos and the keys in each one are very different. 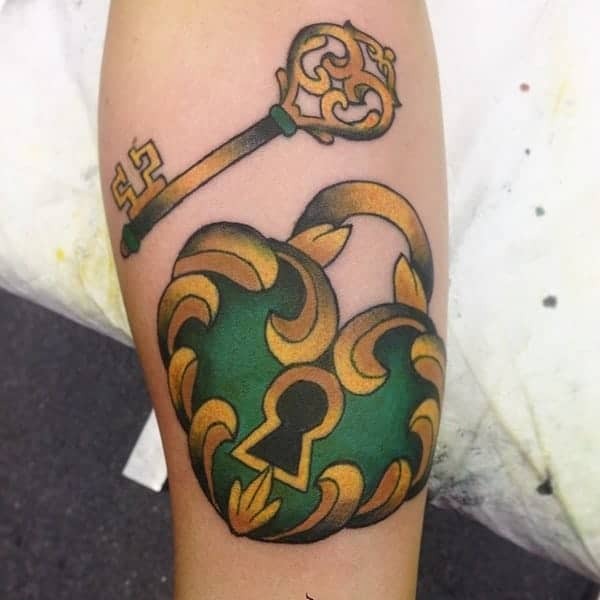 We love the bright splashes of paint that accompany this awesome key design. 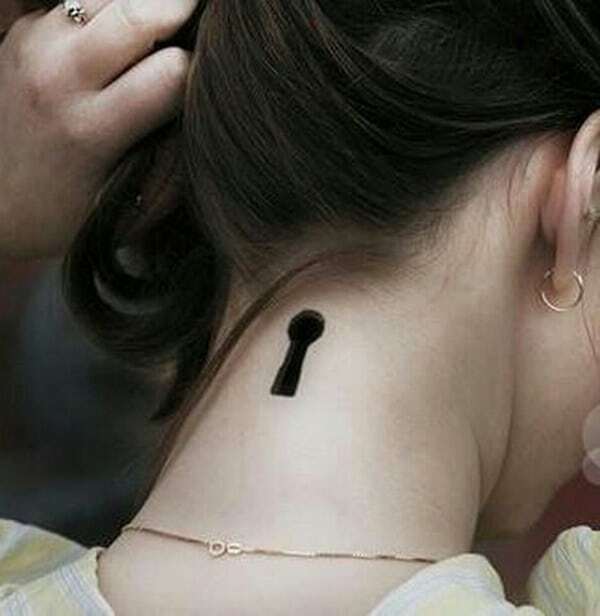 One simple keyhole is all you need to remain mysterious. 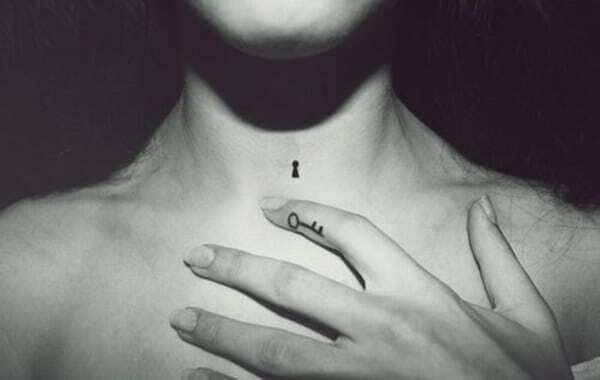 It’s on the neck as well which means that your secret keyhole can remain a secret if you want it to. 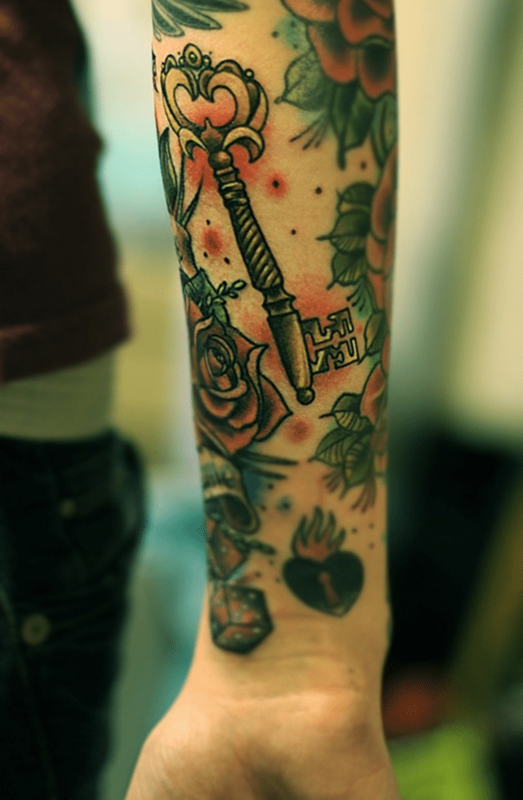 We love the many vintage elements to this sleeve design. A great design that can be shared with friends, family or loved ones. 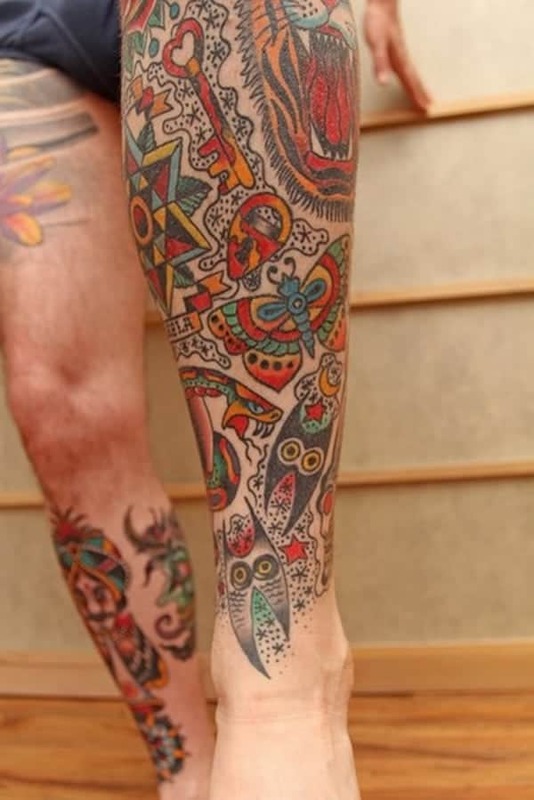 A great and colorful design that fits perfectly on the foot. 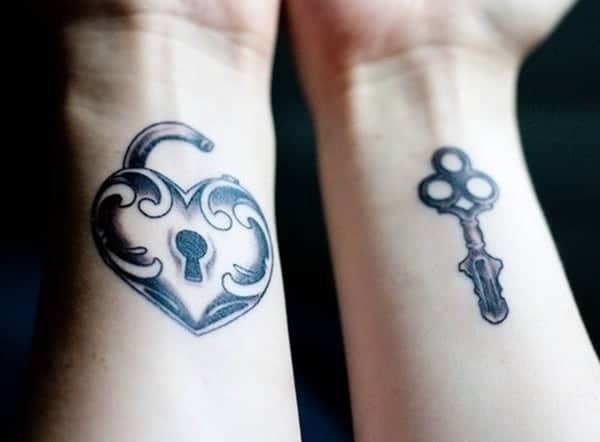 These lock and key designs fit perfectly on the wrists. 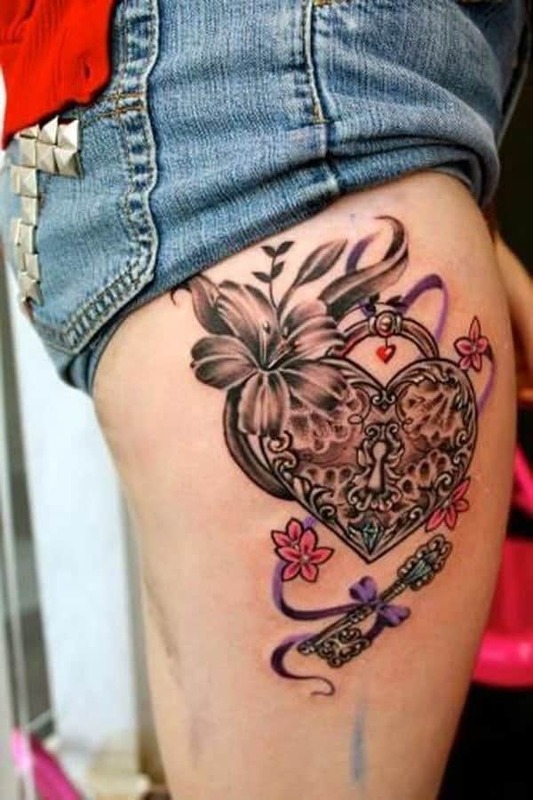 The purple ribbon brings a lot of beauty to this tattoo design. 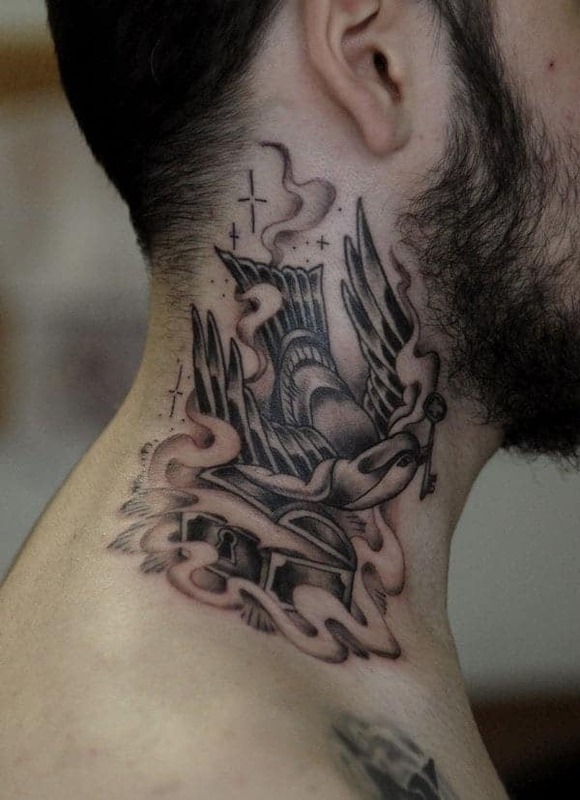 If you are looking for an original tattoo design, then this is the one for you. We love all the creativity here. 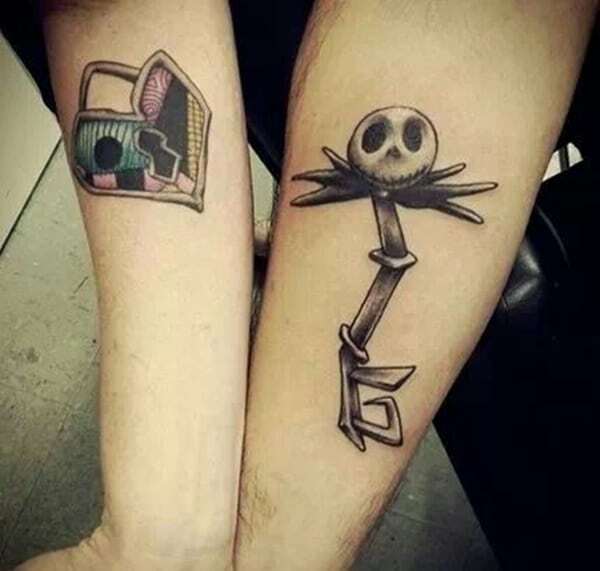 If you are a fan of The Nightmare Before Christmas, then you are sure to love this unique lock and key tattoos. 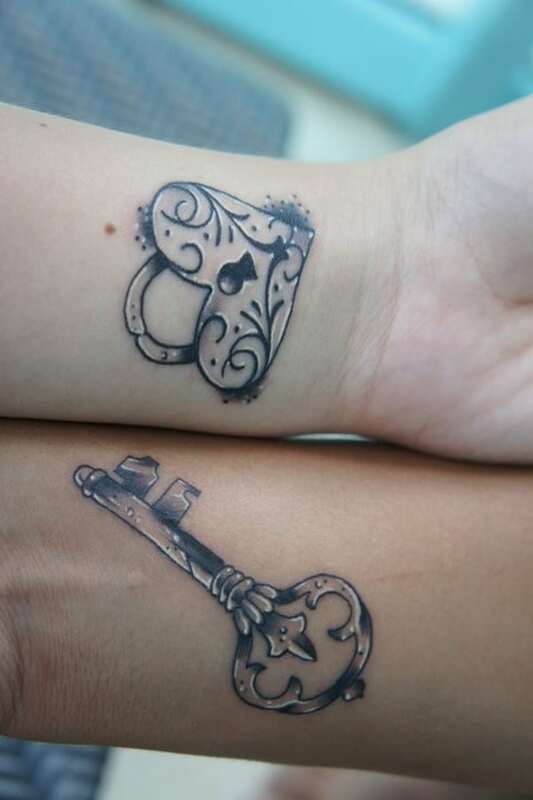 There is some destination symbolism to this lock and key design. 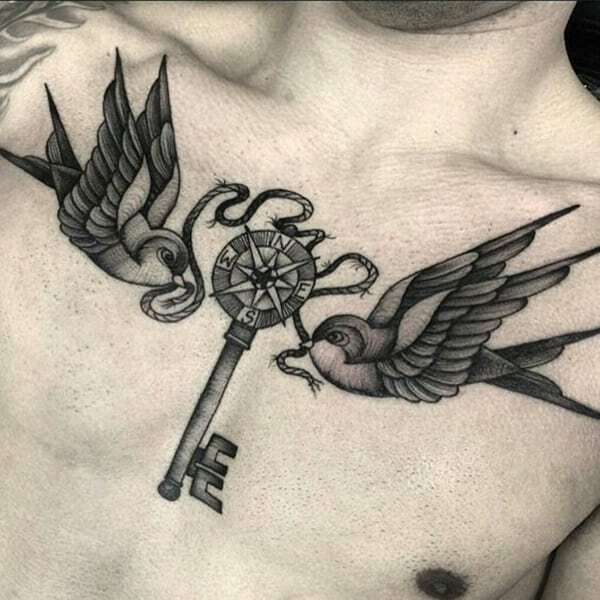 Where are these birds taking the key? You can add many different elements to a Polynesian tattoo like a beautiful red rose. This is a very small and simple design, but it’s also very powerful! We love it. 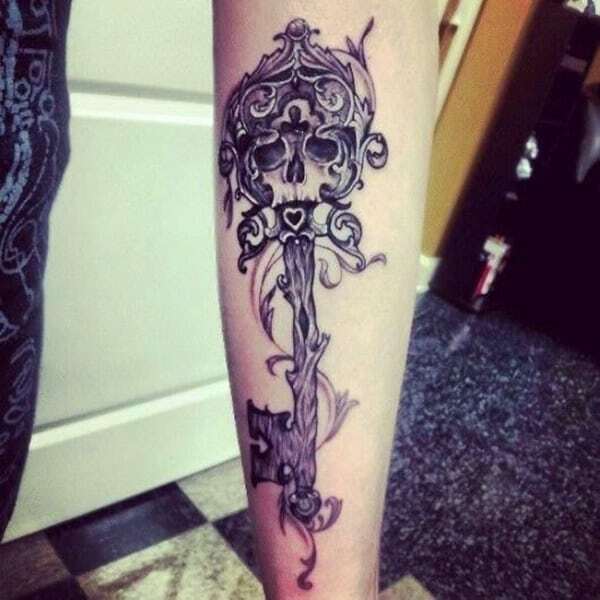 This gorgeous wood key has a scary skull as the base point. 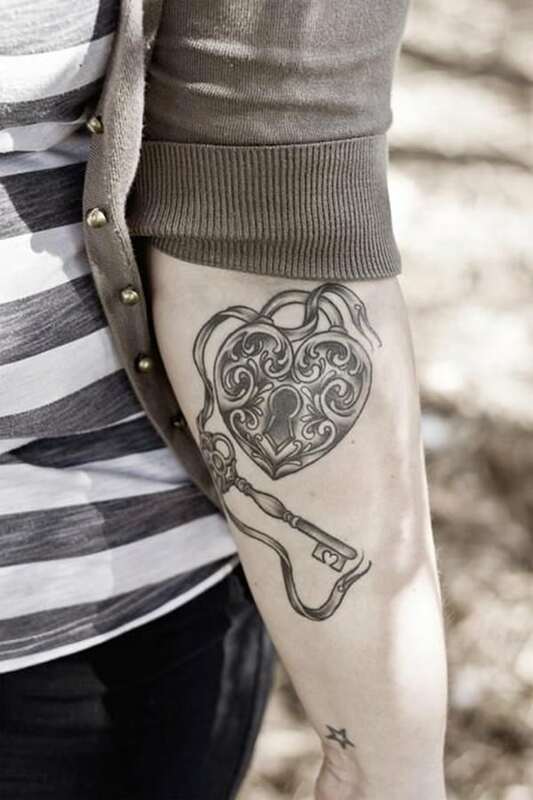 Another example of the lock and key tattoo. 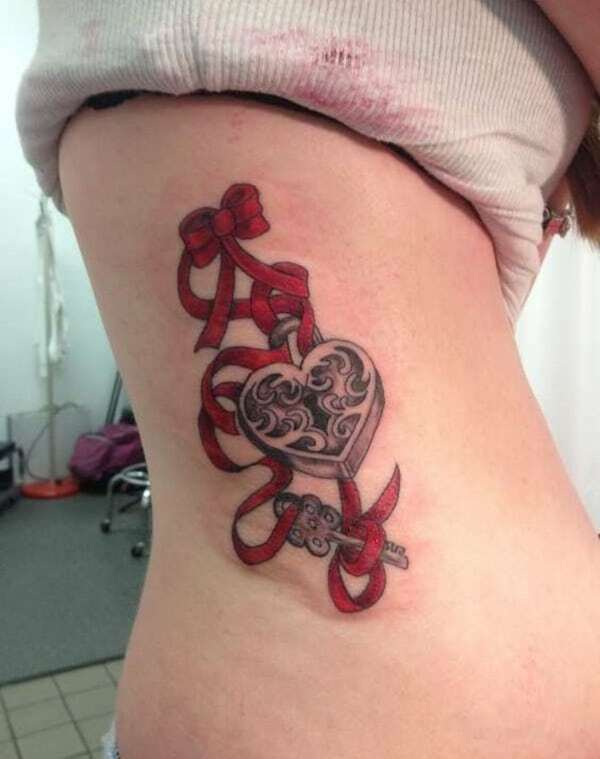 This lock and key design has some red ribbon to it this time. 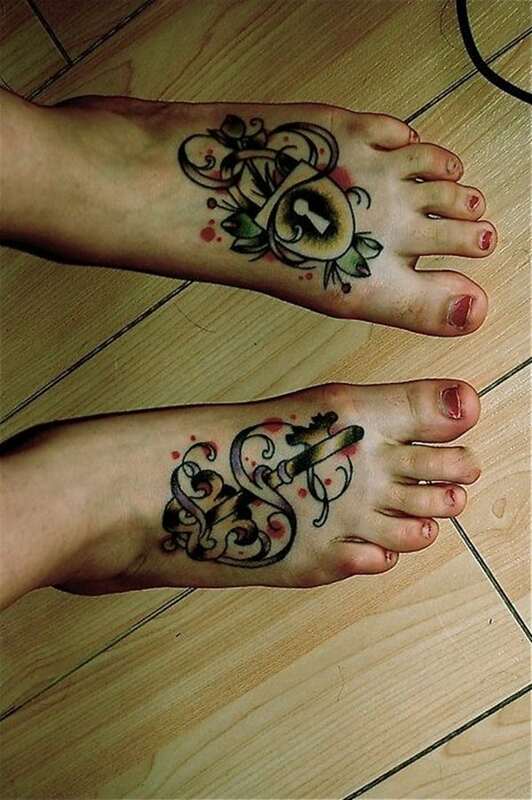 A great tattoo design that is precious to look at. 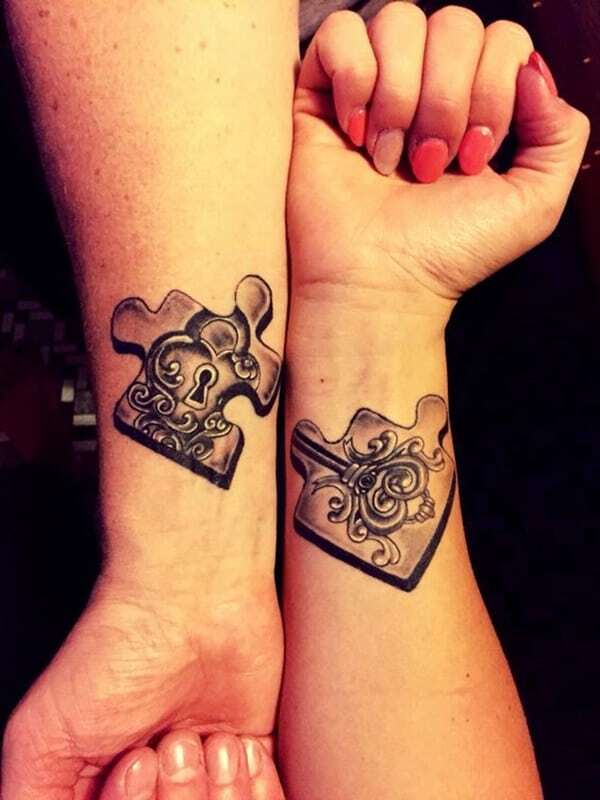 These unique puzzle pieces join the lock and key together. 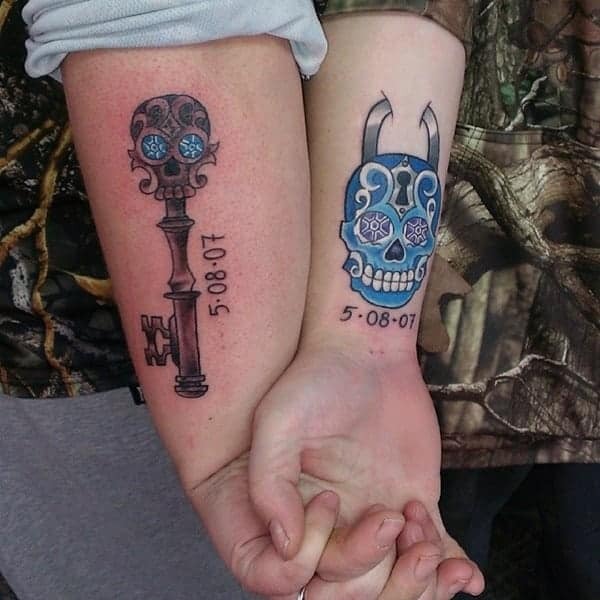 It’s a unique way of having the same type of tattoo design. Gorgeous keys surrounded by some amazing colored paint splotches. 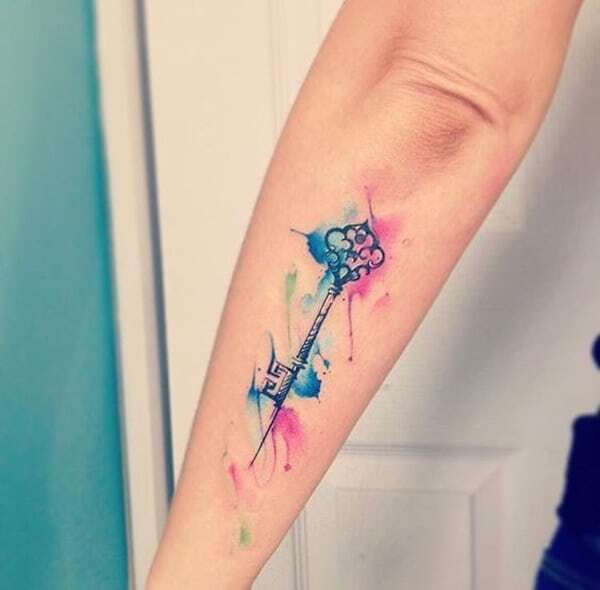 We love tattoos that have paint elements to it. 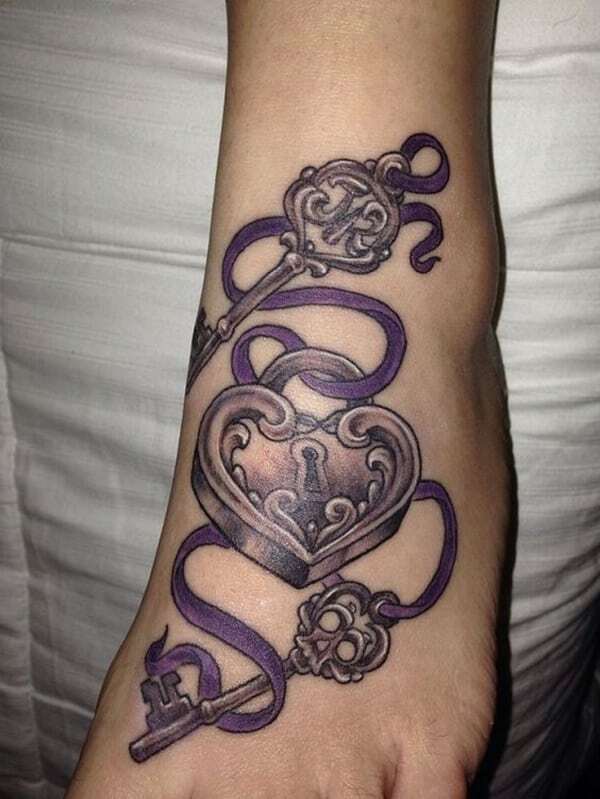 This looks like a key that is fit for royalty. 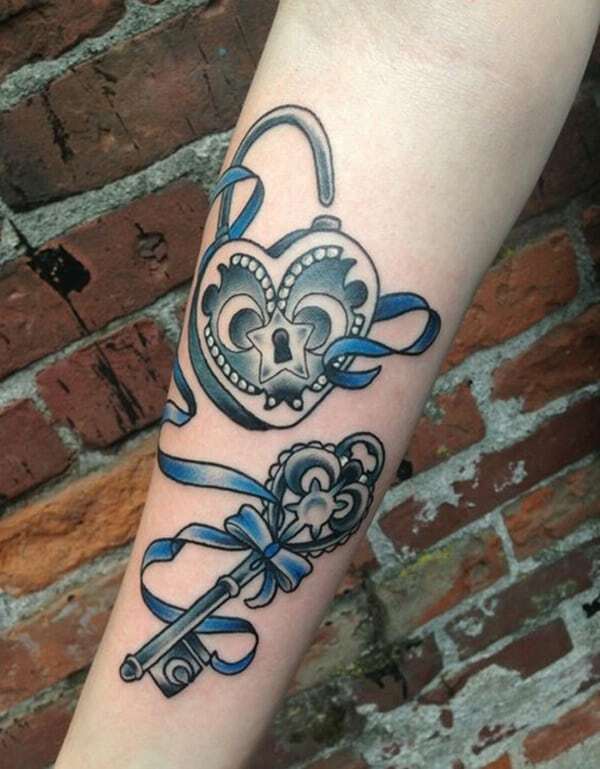 Another example of the lock and key tattoo but this one has blue ribbon and the color really pops out. 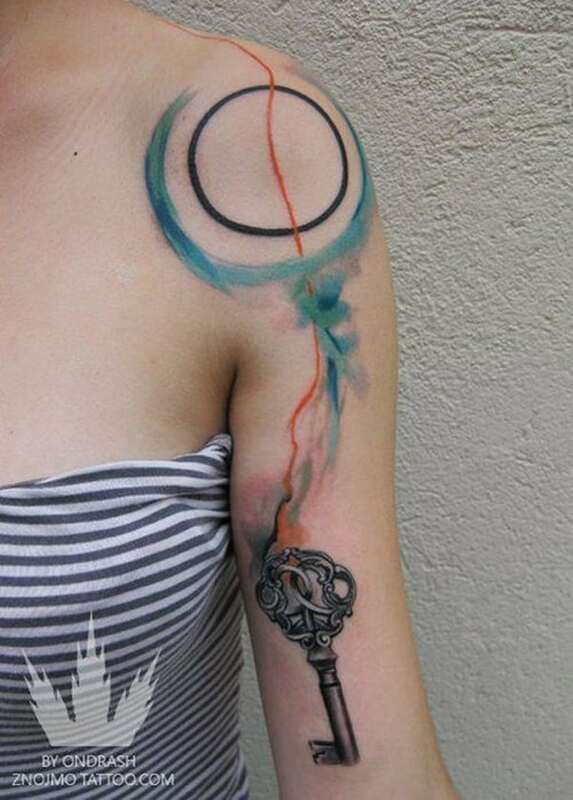 A gorgeous tattoo that has a weathered look to it. 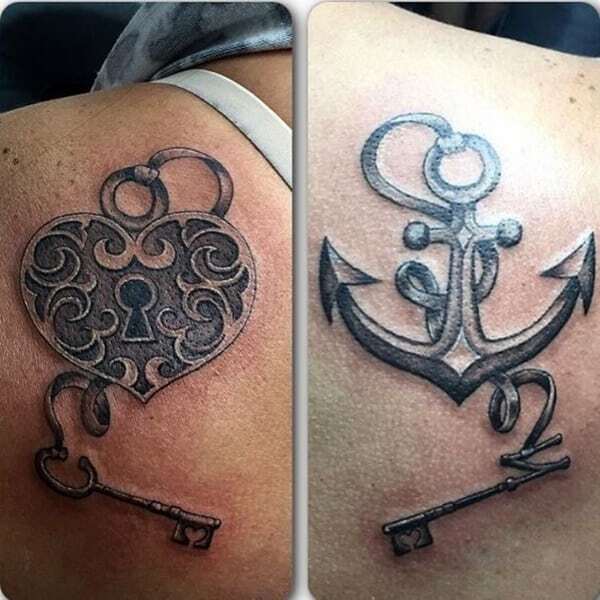 As you can see the lock and key tattoo design is a very popular one. A simple design that is all about eternity! 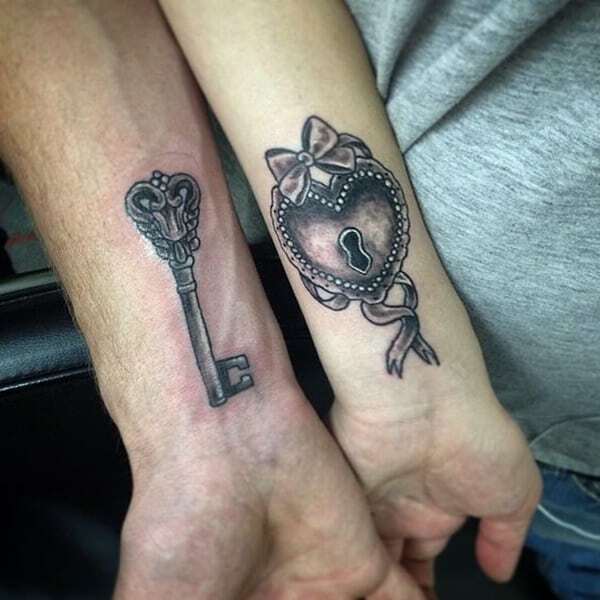 Using white ink in your tattoo can give your tattoo a whole new look. Doesn’t that heart look like it’s just going to start beating? Love the color as well. 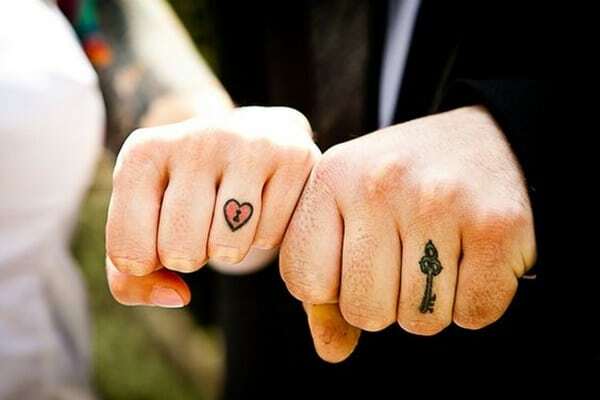 Simple tattoos with just a splash of red. This locket has a purple gem on the inside; we absolutely love it. 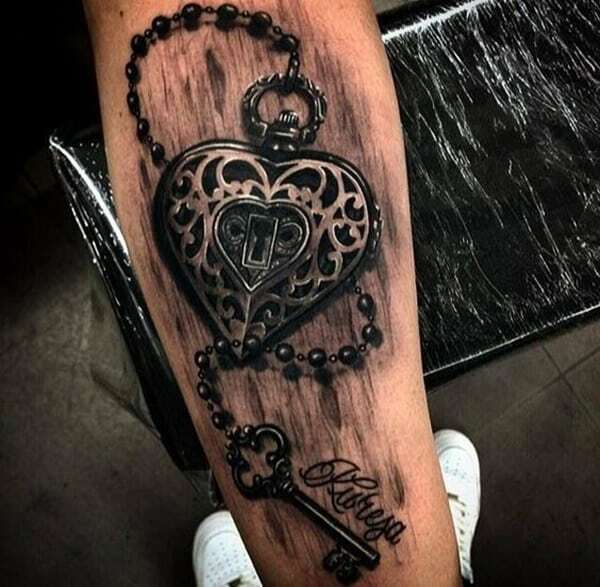 Another great design of the heart locket. Simpel designs for big sentiments. A colorful design that is sure to put a smile on your face. 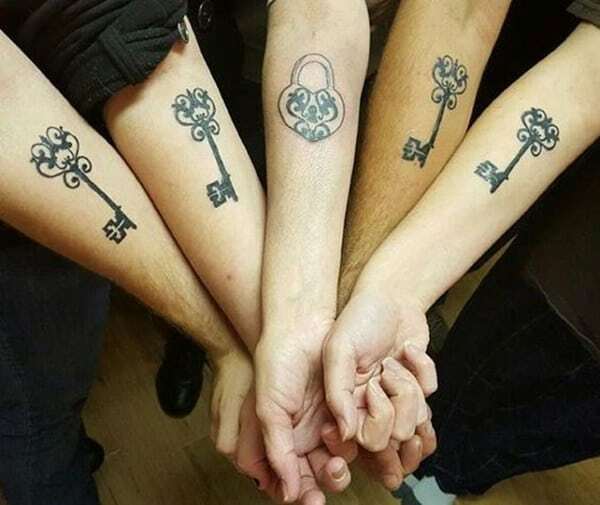 These unique tattoos make it look like the lock and key are embedded into your skin. A truly unique design. 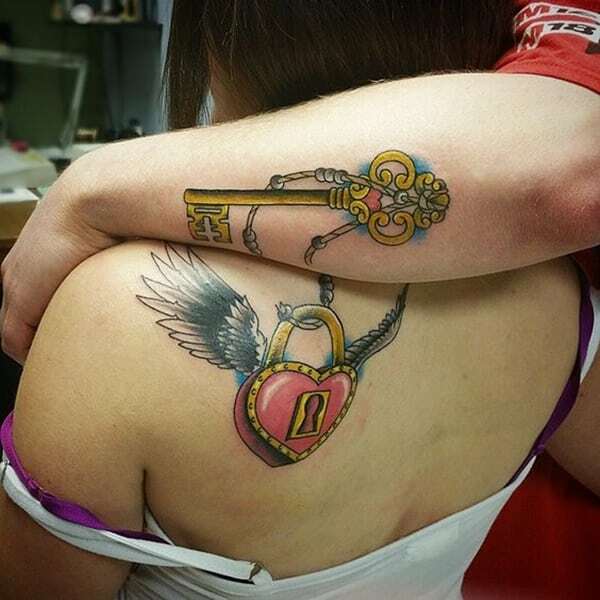 If you want to show your love in a big way, then these bright tattoos are exactly what you’re looking for. 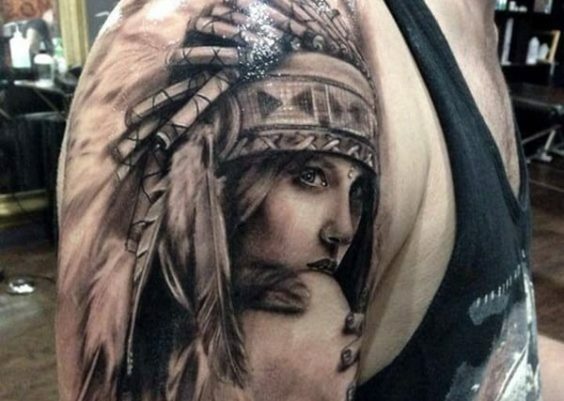 If you are looking for a great shoulder tattoo, then this is the one for you. 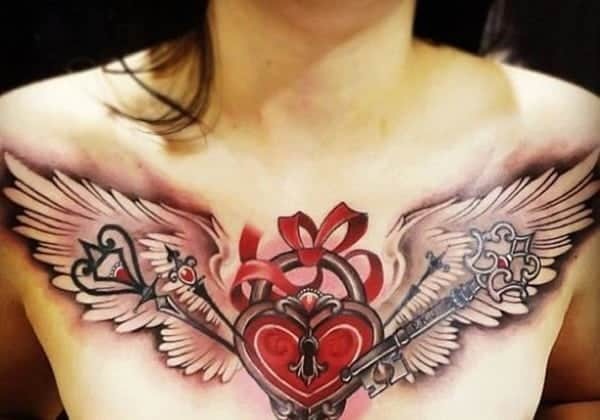 This is an amazing chest tattoo; we just love the wings that hold the keys in place. The bright red with the black is also quite eye-catching. 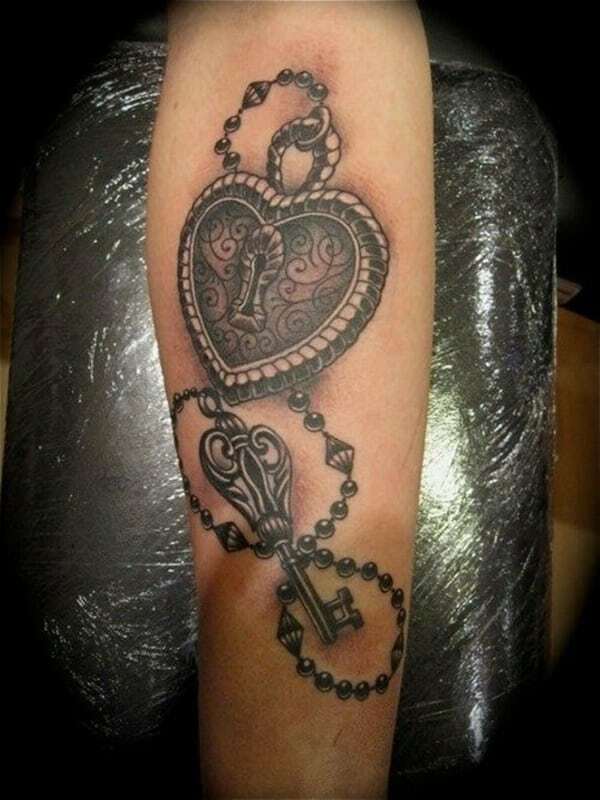 This tattoo is very realistic and beautiful. We love how amazing the colors are with this one. 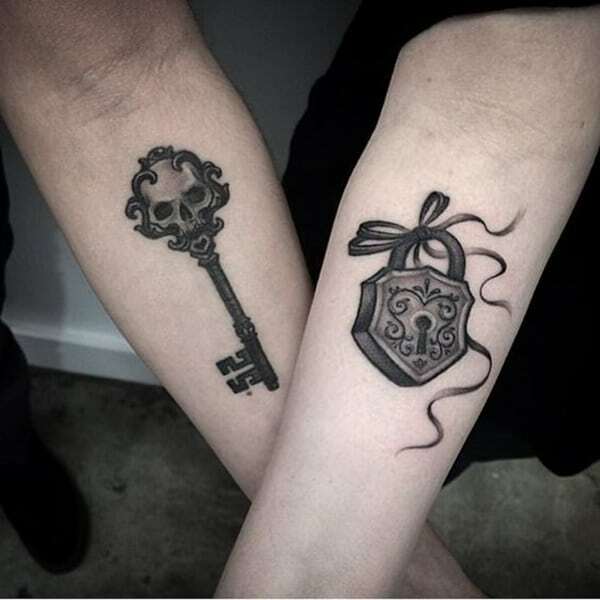 Talk about an amazing version of the lock and key tattoo. 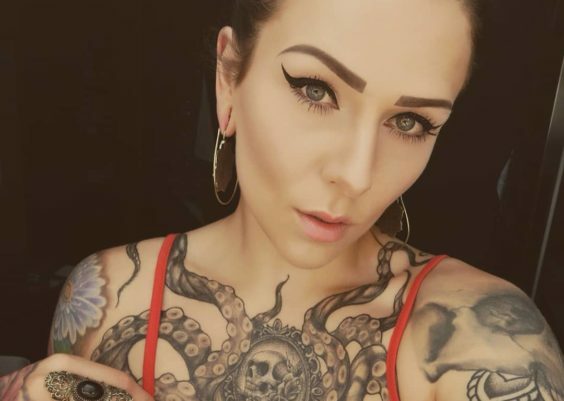 Those faces are so realistic we would think they were real if they weren’t tattoos. An amazing work of art we have to say. 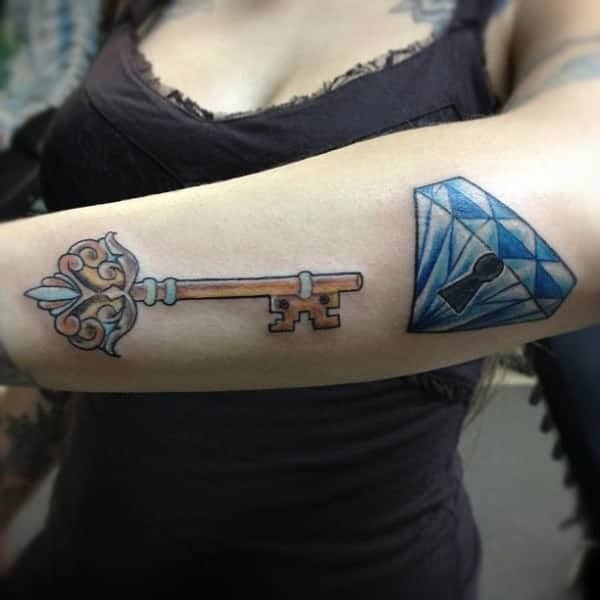 A splash of blue can make any tattoo pop. 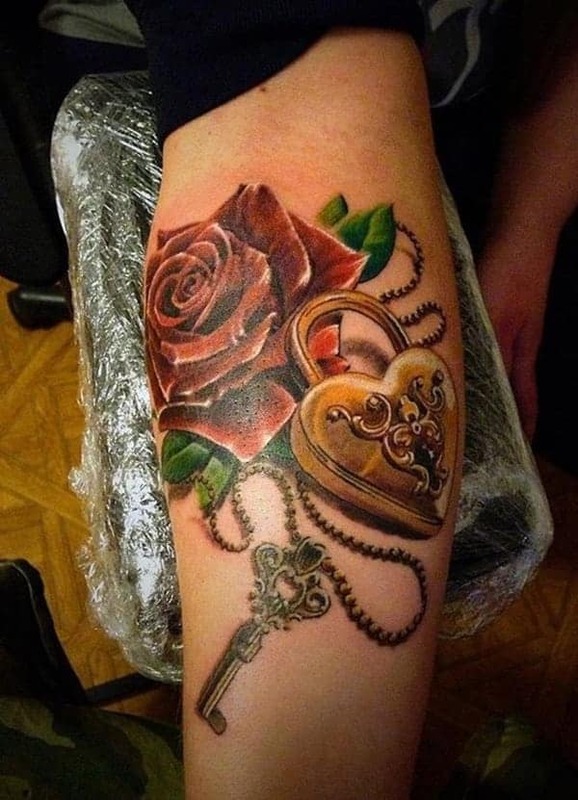 A great locket tattoo with some amazing elements to it. We love the flowers. 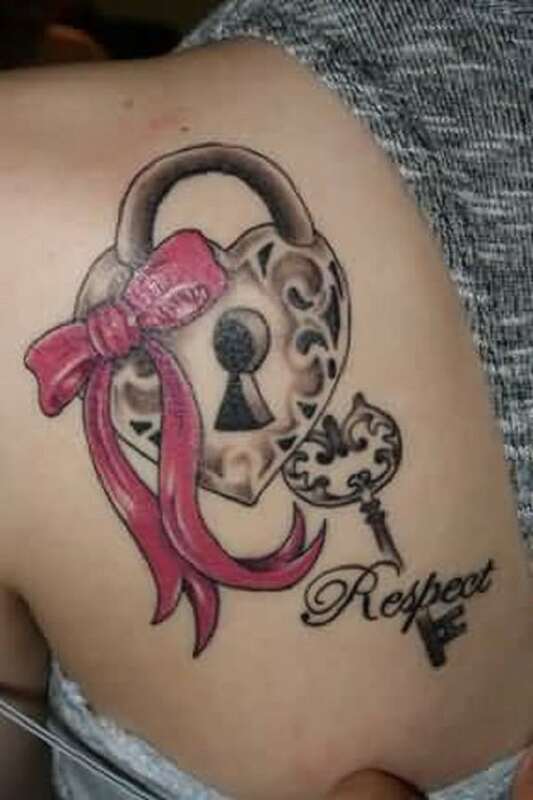 This is an interesting take on the locket tattoo. 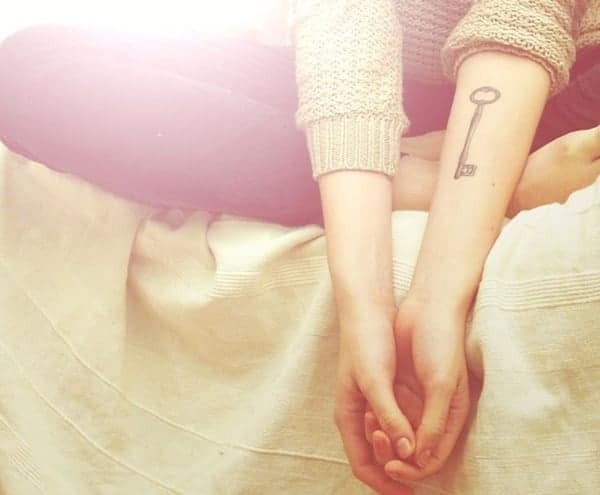 The keyhole is in the hand. A great design that has simple elements to it. 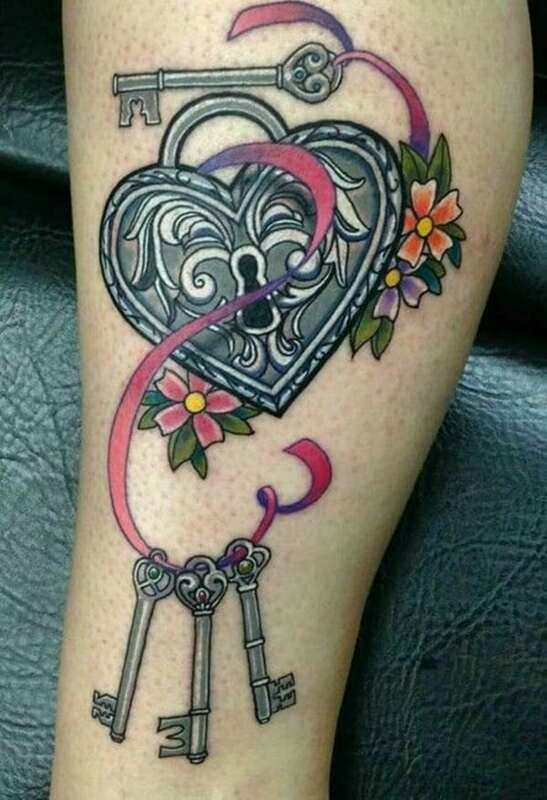 The locket in this Polynesian tattoo is in the treasure chest. 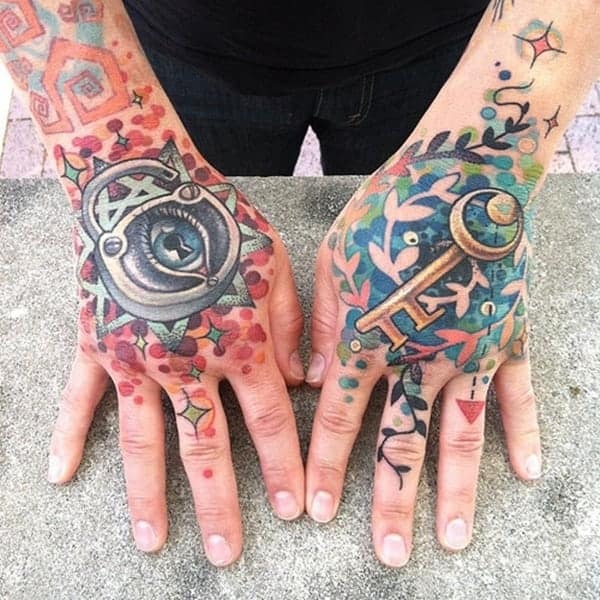 These bright colors really make these tattoos pop out. 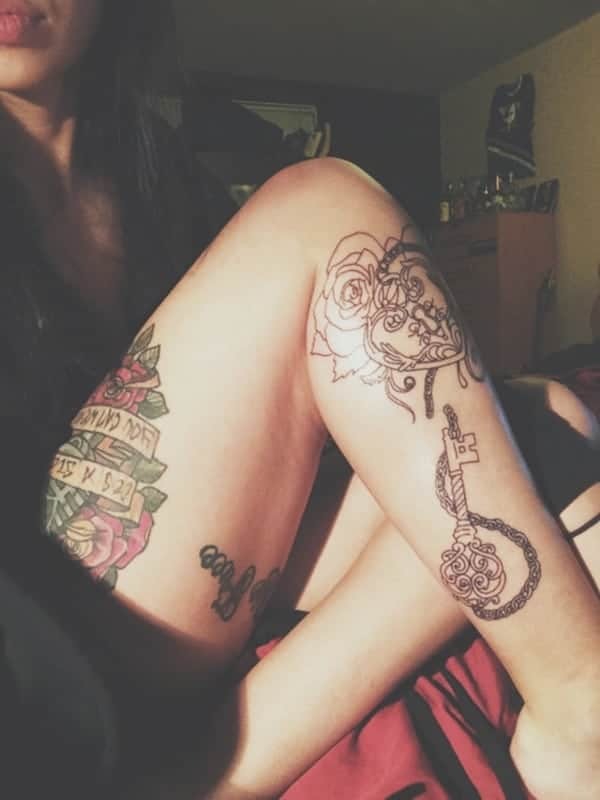 We love these sugar skull tattoo designs. 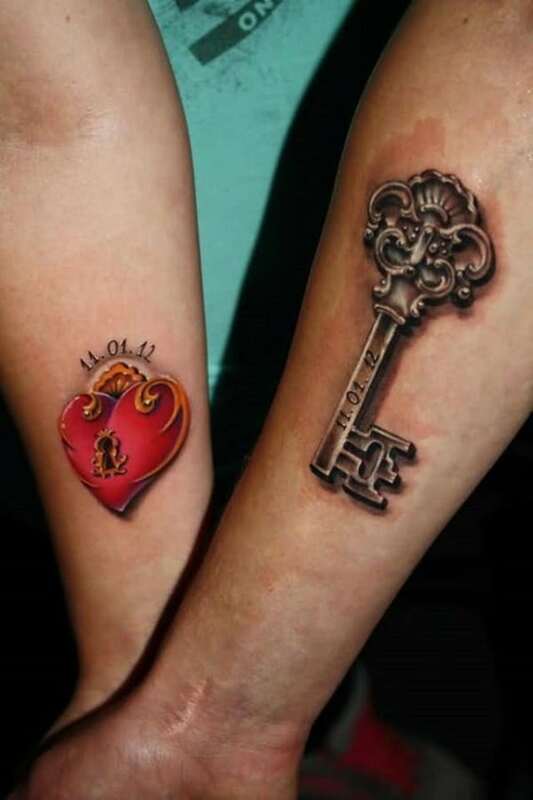 They give some originality to the standard lock and key designs. The eyes are so mesmerizing. 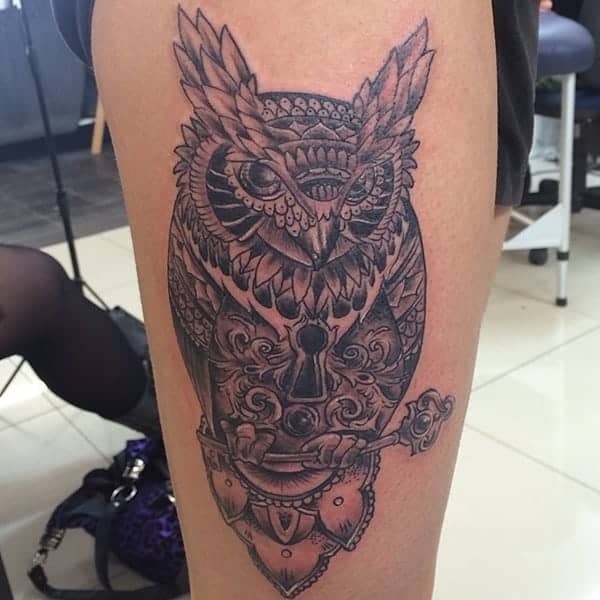 We love this owl locket design. 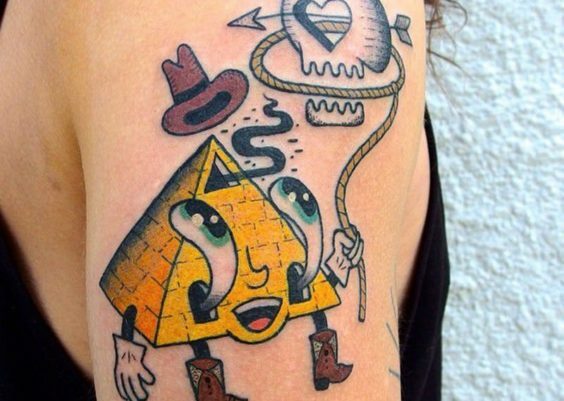 The details in this tattoo are amazing. 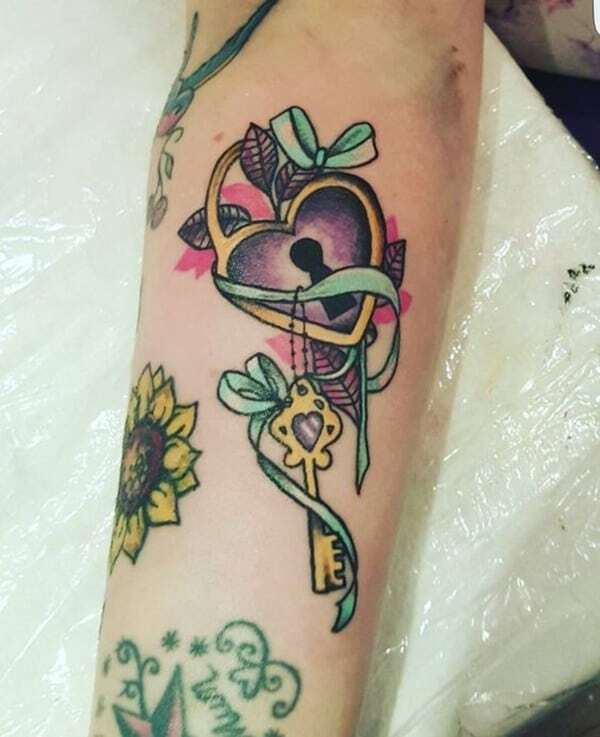 Another example of a standard lock and key tattoo. 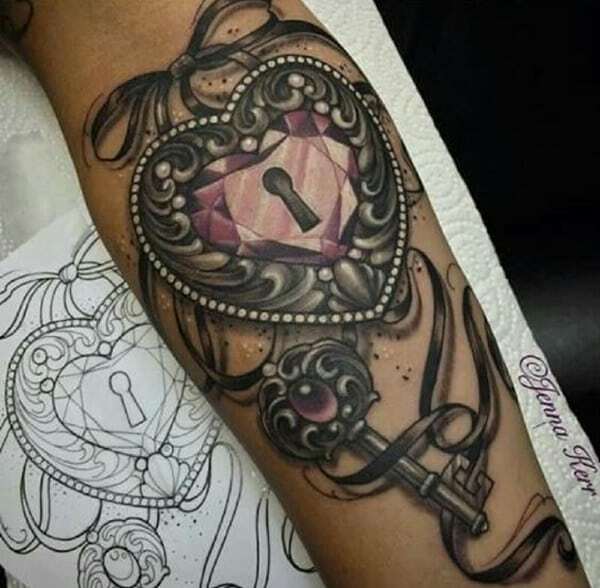 This design has the locket opening to show the secrets inside. Green and gold together make for a great color scheme. The green just pops into this design. 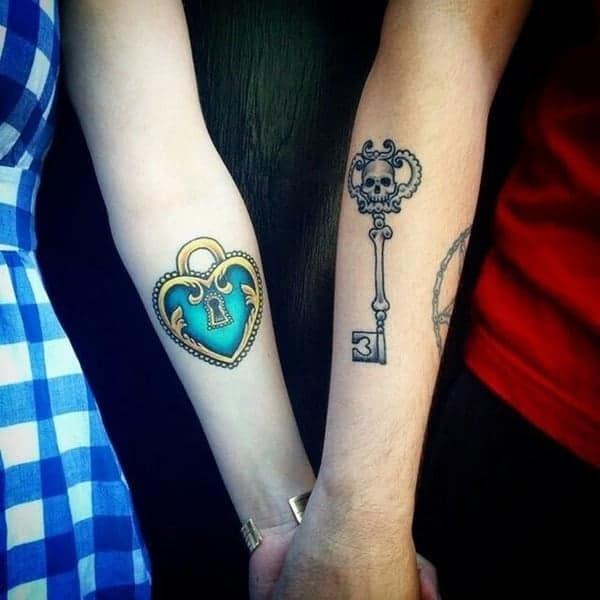 This is a cool version of the locket tattoo designs. We love the crisp blue. 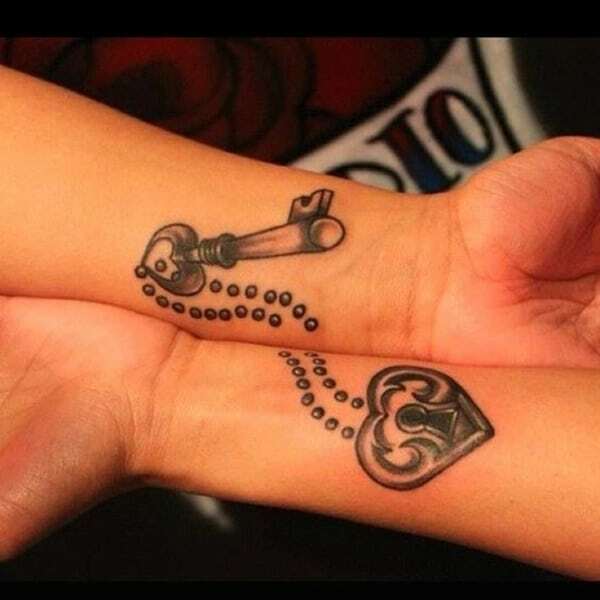 If you are looking for a pretty design then these tattoos of pearls on them. 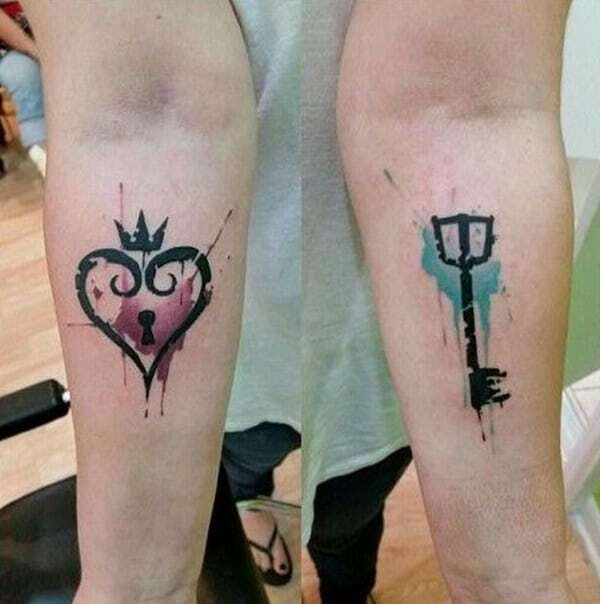 You are sure to love these original designs. 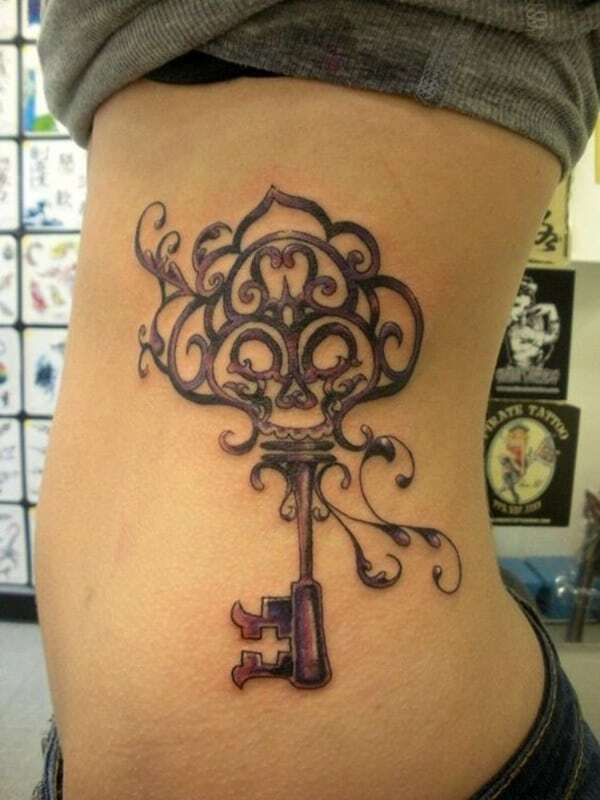 It’s okay just to get the key on its own as well; key tattoos are always popular designs. 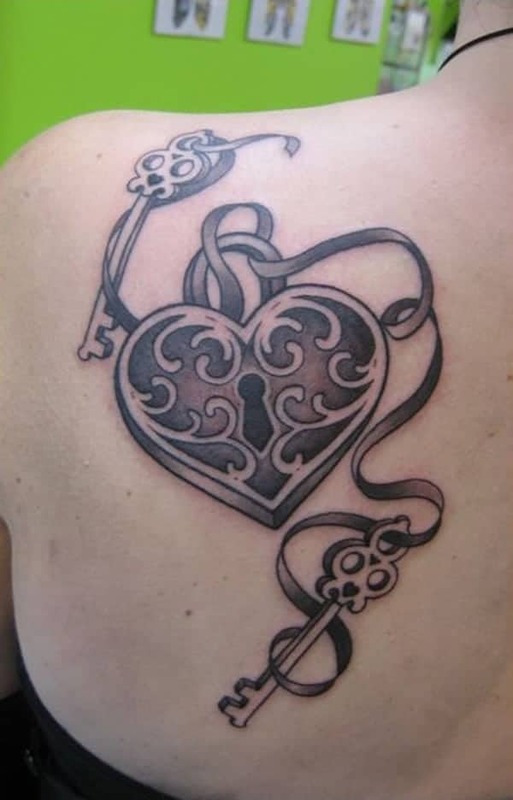 Another great example of the lock and key designs. 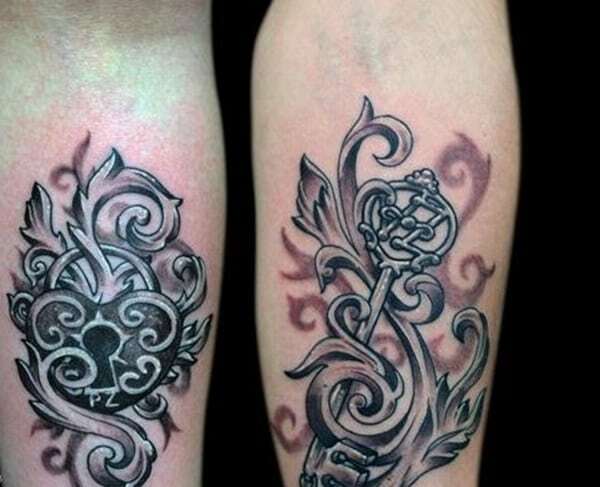 The lock and key can also become part of a larger design like this sleeve. 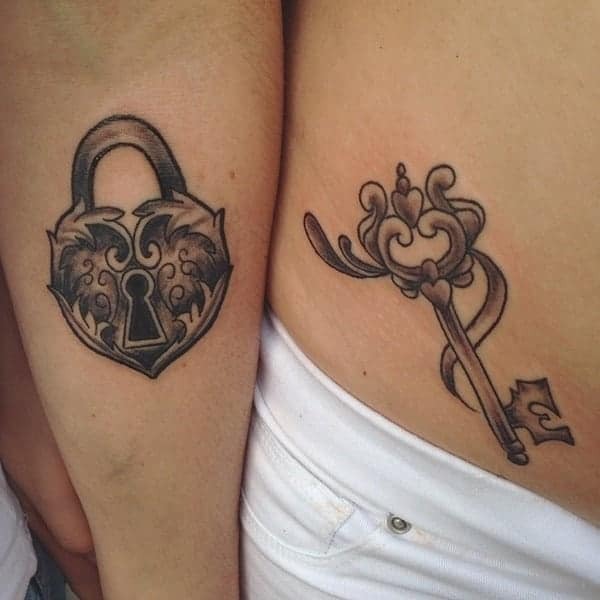 These tattoos give the illusion that some large bird with grasping claws are about to take the lock and key. White ink is growing in popularity every day. 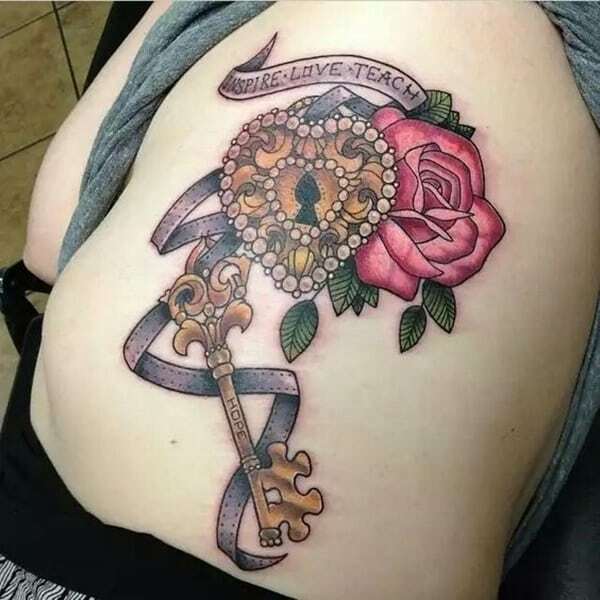 This unique tattoo has an eye in the locket. It’s a very realistic eye and the colors are beautiful. 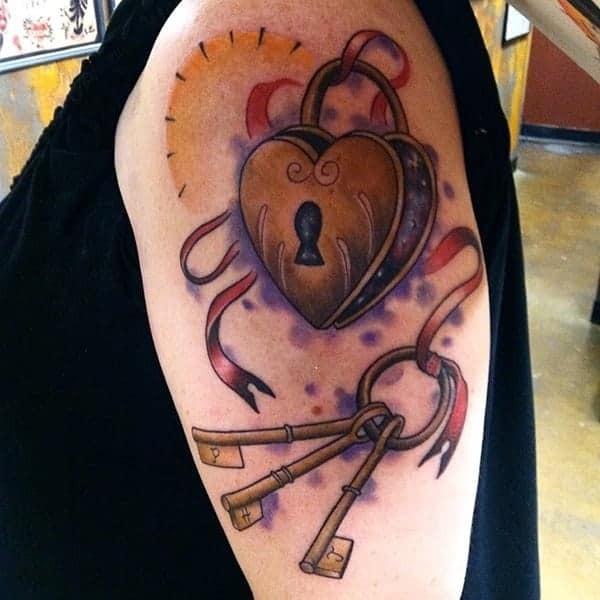 Another great example of the lock and key tattoo design. 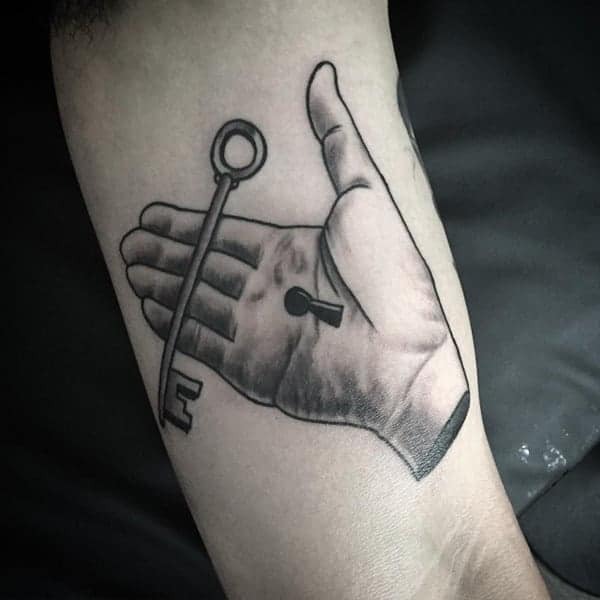 This is an interesting design as the keyhole is on the throat while the key is on the finger. 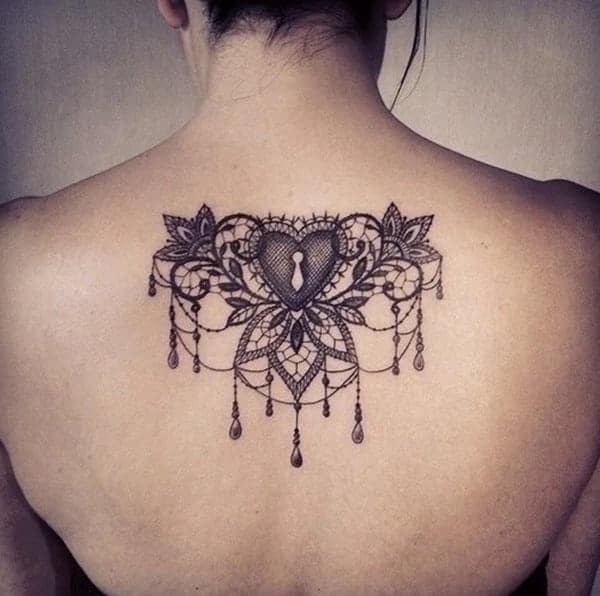 This is a gorgeous tattoo for the middle of the back. 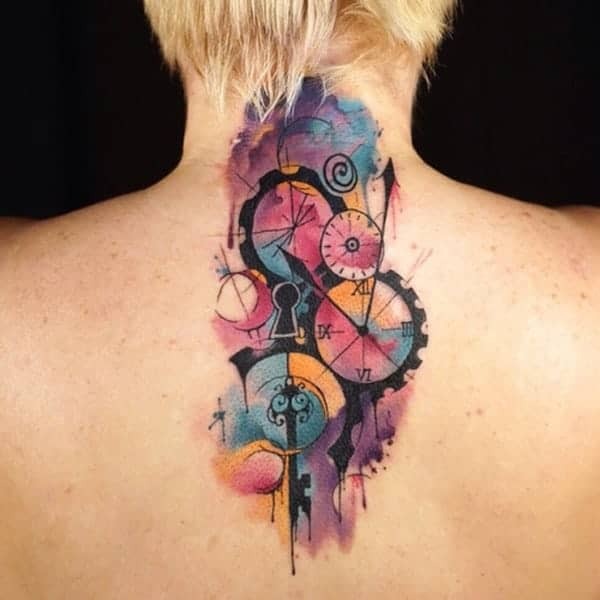 There is so much awesome to this tattoo; we love the clocks and all the amazing colors. A beautiful locket made of lace. 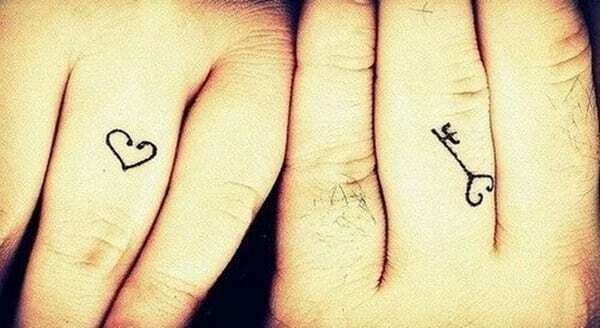 These tiny tattoos look great on the fingers. 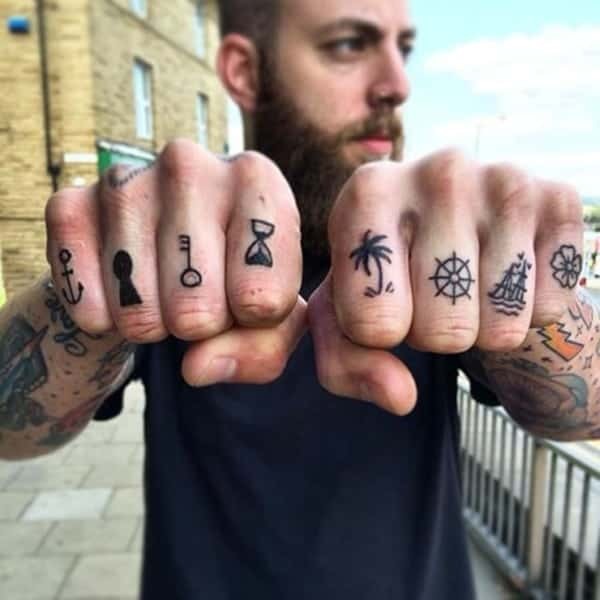 Choose a different design for each finger and you will have an original tattoo design.